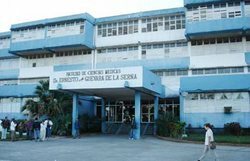 Doctor Pedro Alexis Díaz Rodríguez, rector of the high studies center, refers to this promotion as the fruit of 40 years of medical teaching in Cuba’s westernmost province. The new structure groups the current Faculty of Medical Sciences Dr. “Ernesto Guevara de la Serna”, in the main headquarters; the Health Technology Faculties, in Simón Bolívar Center and the Stomatology one, in Briones Montoto Clinic. In addition, 12 new faculties of Sandino municipality join the university and other three center are still in process, plus the 14 municipal university headquarters and all the clinics and hospitals of the province. This institution gathers 17 000 students from Cuba and 48 other countries, and more than 3 500 teachers with different academic categories and a systematic recognition by the Ministry of Public Health and other national authorities, given the quality of the teaching and research processes and the transference of knowledge to the community. At the beginning of the Conference, Dr. José C. Díaz Cabrera, vice-rector, referred to the graduation of 9 922 health professionals and 433 of them from other countries, as achievements of the teaching process in the territory. This event, historic in itself, includes debates on the training of foreign students in the Cuban solidarity programs, both inside the country and in the Medical Sciences Faculty of Equatorial Guinea, directly assisted by Pinar del Río. For that reason Doctor in Sciences Nse Nsuga, rector of the National University of Equatorial Guinea, talked about the efforts made by their government to strengthen the medical teaching with human resources trained in Cuba and noted the cooperation of the Cuban doctors. To open the Conference, Doctor in Sciences Jorge González Pérez, rector of the Institute of Higher Medical Sciences of Havana, gave a keynote lecture on the new trends of higher medical teaching. With his masterly communication skills, he referred to the Cuban success in the teaching process, to the remaining gaps and the perspectives of revolutionary methods. The scientific program includes symposiums and workshops, apart from the presentation of scientific and pedagogical experiences in polyclinics, which undoubtedly surpass the traditional methods in regard to promotion, knowledge, retention and the rest of the indicators that measure quality.